Photo taken last July in Nisswa, Minnesota during a family vacation. Now that we are in the dead of winter and it has finally gotten cold her I am thinking back to the warm, sensational summer vacation we had in northern Minnesota. We watched the sunset and listened to the loons cry their melodic songs. There is nothing better than summer in Minnesota. 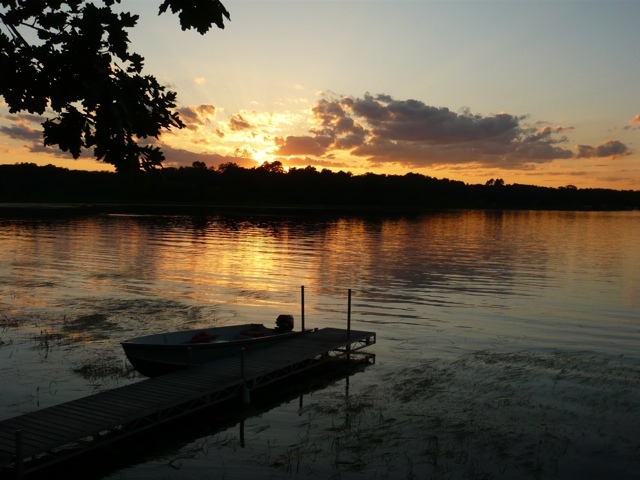 With well over 10,000 lakes, beauty and nature surround you. The only problem is that you better also love winter for winter can be long, hard and brutal. Especially when it is like this one and we don’t have any snow to play in!